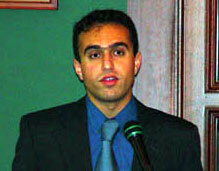 Mahan Abedin is a Visiting Fellow at the New Delhi-based Institute for Defence Studies and Analysis. Previously he has worked with numerous think tanks, including the Washington-based Jamestown Foundation and the London-based Centre for the Study of Terrorism. He has also been active in journalism, having worked for the Beirut-based Daily Star and most recently the Irbil-based AK News Agency where he was chief editor of the Persian and English sections. Born in Iran, but raised and educated in the United Kingdom, Abedin is a frequent traveller to the Islamic Republic where he is a consultant to independent media.